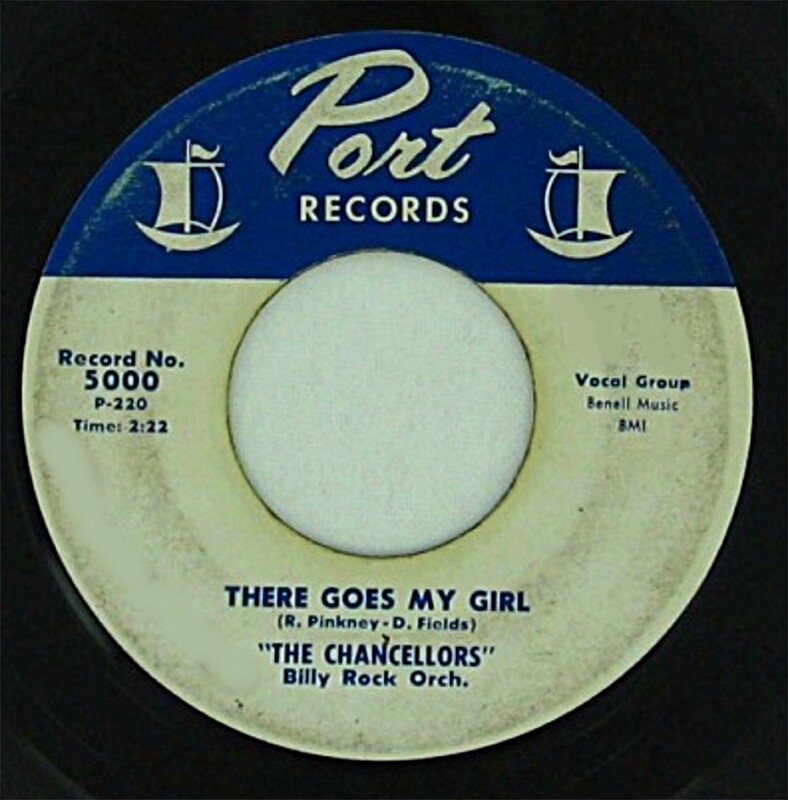 THE CHANCELLORS aka THE FIVE CHANCELLORS (Port Records). The Chancellors were a mixed group formed in 1956 by white members Eddie Palatella(Lead),Jack “Jiggie Boy” Hopper(1st Tenor) and Peter Rocco(2nd Tenor) from the Schreiber high school in Port Washington,N.Y. with black members Rowland Pinkney(Bass) and Donald Fields(Baritone) from the Mineola, N.Y. high school. After of an amateur contest,Steve Blaine introduce them to his father, Jerry Blaine, of Jubilee Records this send the group to an appearance on the Apollo theatre’s amateur night on February 20,1957 with other 24 Rock & Roll acts. The Mellow-Kings win the contest but The Chancellors were introduced as “the first interracial group to perfom at the Apollo”. On May 1, 1957 the group have their first recording session on the Belltone studios in New York with Billy Rock orchestra ,Panama Francis on Drums and Tony Motola Sr. on Lead Guitar and arrangement. In May 13, Jerry Blaine released the group sides_There Goes My Girl/Tell Me You Love Me. on his new label Port Records (name by Port Washington). When the first copies were distribuied another prior Chancellor’s group appear and Steve changed the group name to The Five Chancellors for the following pressings. Without success the group never recorded again and after their high school graduation broke up.